We run a variety of educational programmes, equipping mothers and families to make informed decisions for themselves and their children. Covering topics such as contraception, HIV management, and sexually transmitted diseases; these free weekly sessions create a trusting and relaxed atmosphere for women at the MOUs to meet, learn and share together. They help to build a sense of community and support for women and families, and are an invaluable source of information for those who have little education and come from broken social and economic environments. Free antenatal classes are run from the Retreat MOU on a weekly basis, preparing pregnant women for the arrival and care of their newborns. For families who come from extremely challenging social backgrounds, these lessons significantly impact their ability to cope with a newborn, and positively impact the babies’ early childhood development. 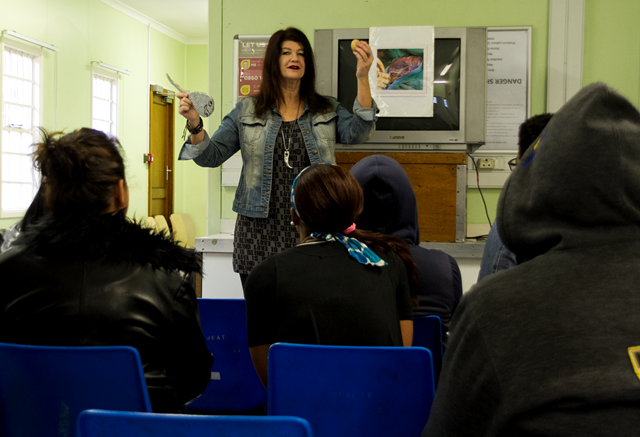 The Zoe Project also runs educational talks at schools across Cape Town, to educate youth on sexual health topics and to engage the wider community with some of the challenges and realities of women and children in South Africa.